PledgeMe has teamed up with Thankyou Payroll to deliver Aotearoa New Zealand’s first unconference focussed on social enterprise. 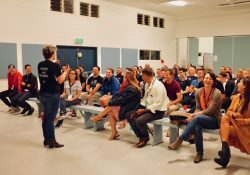 The event was created to support growing and scaling social enterprises to help each other and build a network for them to grow their impact together. We’re aiming to have a diverse group of attendees that represent the broad spectrum of social enterprise in Aotearoa. To ensure that everyone has the time and space to have meaningful interactions, the number of attendees will be capped at 100. Because we’re limited on space, but know that we all benefit from the strength of a diverse group, we will be selecting attendees based on a range of criteria, however if we have more applicants than spots, we will give preference to those who get their registration form sent in quickly. Aim to provide scholarships for 20% of attendees to ensure cost is not a barrier to attending. We have some exciting news – the one and only Vint Cerf (known as the father of the Internet) is coming to New Zealand and you’re invited to hear him speak on an exciting topic in Wellington! More and more of our time is spent on the Internet and current debate around the globe is often focused on the facts and fictions that people and communities are promulgating online. An extraordinary international panel will explore integrity in the online world. We want to explore the impact of truth (and fiction) being posted online – for every part of the globe to see and be part of. The international panel is one to impress! Dr Rachael Ka’ai-Mahuta: Senior Researcher, Te Ipukarea, the National Māori Language Institute, Auckland University of Technology. 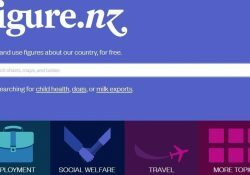 The event will be chaired by InternetNZ’s Director of Outreach and Engagement Andrew Cushen. A big thank you to GOVIS who is sponsoring the event. 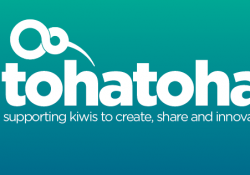 NetHui is a collection of New Zealand’s most diverse and interactive Internet community events. 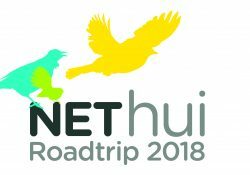 InternetNZ has helped bring the NetHui experience to New Zealanders interested in the future of the Internet since 2011 – they have been held in cities, towns and at your house via live streaming. What happens at a NetHui? A NetHui is about discussions, not presentations – participants set topics and lead conversations amongst all of the attendees. While there are plenary sessions with keynote speakers to bring participants together at the beginning and end of each day, most of a NetHui is dedicated to breakout sessions, often with multiple sessions running concurrently. This format deliberately creates smaller groups so more voices can be heard. A NetHui feels very different to most events. The collaborative conversations between participants draws in views and expertise that is often overlooked. People share their own experiences as well as their expertise, so it is rare for a NetHui session to end without everyone feeling like they learned something new – even if they were experts in the topic to begin with. Of course! 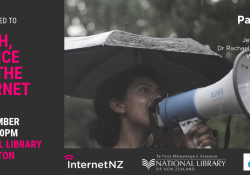 NetHui is for everybody who has an interest in the challenges and vast opportunities the Internet presents, the policies and regulations around access and use of the Internet, or anyone that simply wants to talk about the Internet. A NetHui is empowering for participants because everyone’s views, opinions and contributions are valued equally at NetHui. People of all ages, backgrounds, genders and ethnicities are encouraged to attend. A respectful, open attitude towards others is expected from all participants, speakers, exhibitors and volunteers. 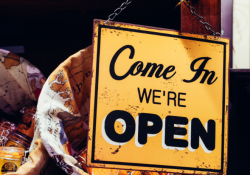 Put simply, if you’re looking for a safe, open, inclusive space to engage with your community about the Internet and all that goes with it, then NetHui will be your kind of place. And if you can’t attend a NetHui in person, you can get involved in the conversation online: Every NetHui session is live-streamed, and we have live-chat so you can participate. We also have people making collaborative online notes of the sessions. How is the programme for a NetHui decided upon? To build a NetHui programme, the public are invited to submit ideas for the things they’d like to talk about. People with similar topics are linked up and asked to prepare and facilitate a conversation during a NetHui Breakout Session. The ideas raised by the community also inform the creation of panel discussion topics, and the invitation of panelists and keynote speakers, both of whom lead bigger discussions in NetHui plenaries. The programme development process starts months before a NetHui, to engage widely with the community and allow groups time to flesh out their topics and prepare. 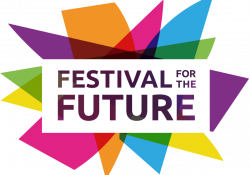 The Festival is an action-packed weekend of inspiring speakers, future-focused panels, workshops, entertainment and more. It’s been called NZ’s most inspiring event, has grown year-on-year and attracted more than 1,300 delegates in 2017. This year the 2018 Festival returns to Wellington. Imagine – Mayor’s, Ministers, CEO’s, creatives, entrepreneurs, future leaders from across the nation – and you. Be challenged. Be inspired. Build your network. Build your ideas and skills. The future is ours to create!